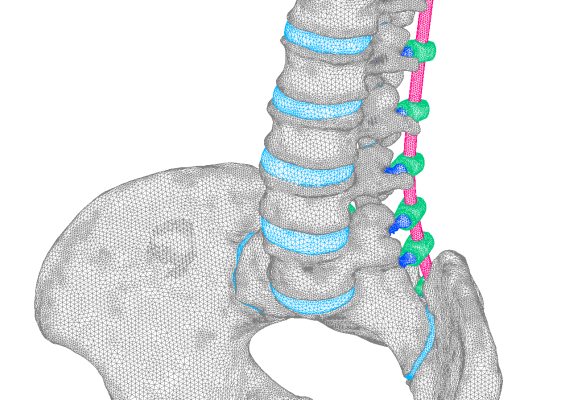 We have over 15 years experience in the field of biomechanics especially finite element analysis for bone. We do not only develop and sell MECHANICAL FINDER but also offer consulting services using the software. Depending on your request, we provide just a modeling or all processes up to analysis and results. Even if you do not know well about finite element analysis or what you can do with it, please feel free to contact us. Technical staff will ask your request and purpose, and after the discussion with you we will suggest and perform the optimum analysis on that. If you are MECHANICAL FINDER user you can receive the project data so you can use it for another analysis by modifying the model or changing the condition. This service is just for MECHAICAL FINDER users and provides only a modeling. We will provide the constructed model as project data. It is recommended for those who are considering complicated models but want to perform the analysis efficiently. 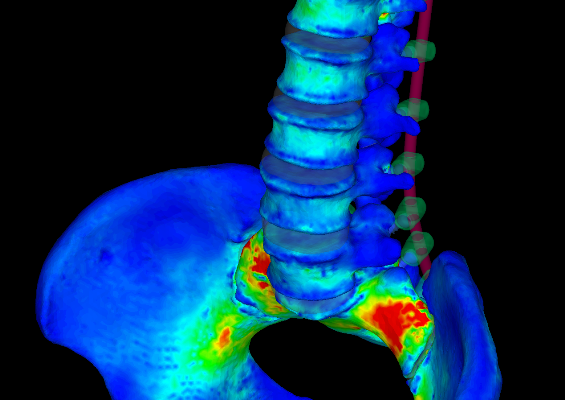 Please also contact us if you need only geometry data such as implants. We create geometries and provide them in STL format. Please do not hesitate to contact us even if analysis or evaluation method are not clear. Please tell us what kind of things you would like to analyze, then we will suggest your solution. Please prepare CT images in DICOM format including analysis target and implant geometry data in STL format. We will confirm in advance whether they are suitable for analysis. We have an SSL server for uploading data. We suggest an analysis plan according to your request. Please describe what you would like to analyze and evaluate, medical background, problems etc. We will send you an estimate when the analysis model, method and cases are fixed. After your confirmation and order, we will start the analysis. We will analyze or model according to the decided content. On the way, we will contact you with detailed condition settings and suggestions for modification. We will provide results in the form you need, such as images, videos, reports etc. MECHANICAL FINDER users can also receive project data of the analysis or modeling. We will return the DICOM data, or will properly destroy it.